I knew very little about the Azores prior to visiting. 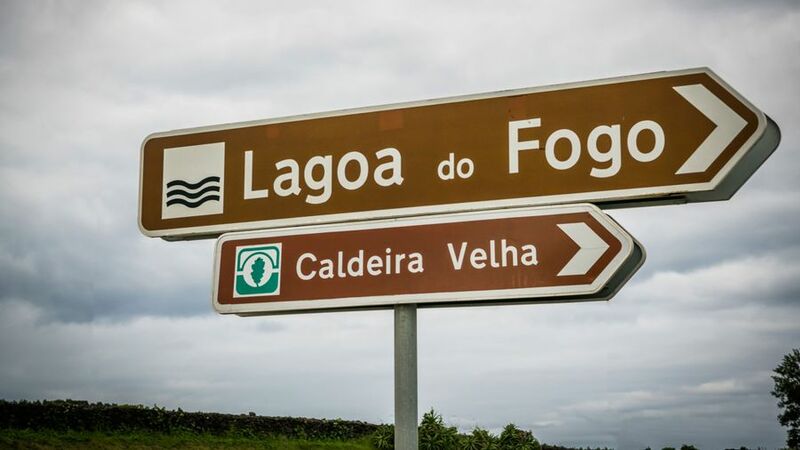 I got that it was part of Portugal, and an island. Maybe several islands. Somewhere. And that was about it. This job comes up; driving somewhere new. Plenty of motoring journalists drive in interesting and far-flung places, but there are stories about the Alps, Spain, northern Scotland and Scandinavia every other week. No one I know has been to the Azores, and few people could pinpoint it on a map. Situated alone in the Atlantic, some 850 miles west of Portugal, the Azores are a chain of nine volcanic islands. I’ll be visiting the largest, Sao Miguel, and on the agenda is a full day of driving across the whole island. My ride will be the recently revamped Mazda 2, which is a solid choice. The island is small, and the roads are twisty, so a ludicrous sports car would barely get out of second gear. Plus, if you’re visiting the Azores yourself, you’ll find precious few establishments that will rent you a Porsche for the weekend. This seems more… realistic. 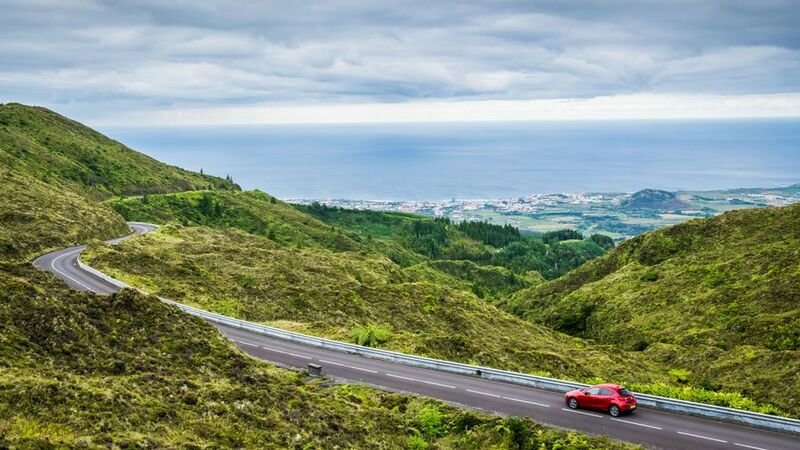 Of course, anyone renting a car on Sao Miguel will get a left-hand drive car, but we’re lucky enough to have a taste of home. 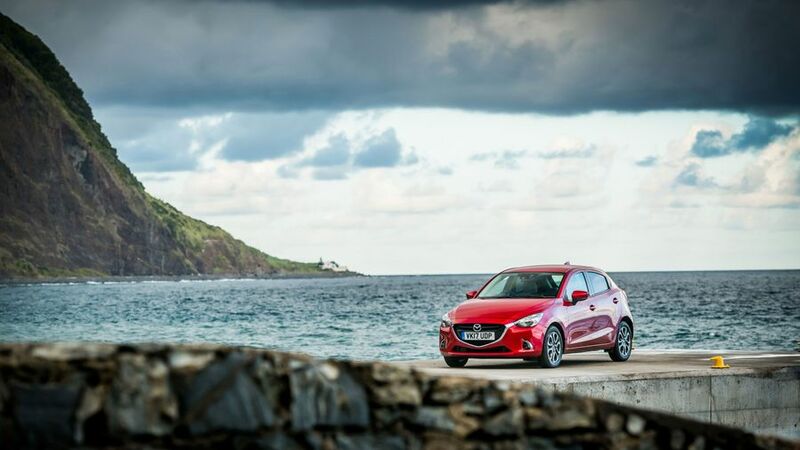 Mazda put our right-hand drive, UK registered Mazda 2 on a boat from Lisbon, and it spent three days lashed to the top of a container before arriving into port in Ponta Delgada, the largest town on the island. Handily, the port is right in front of our hotel, the very well appointed Azor. 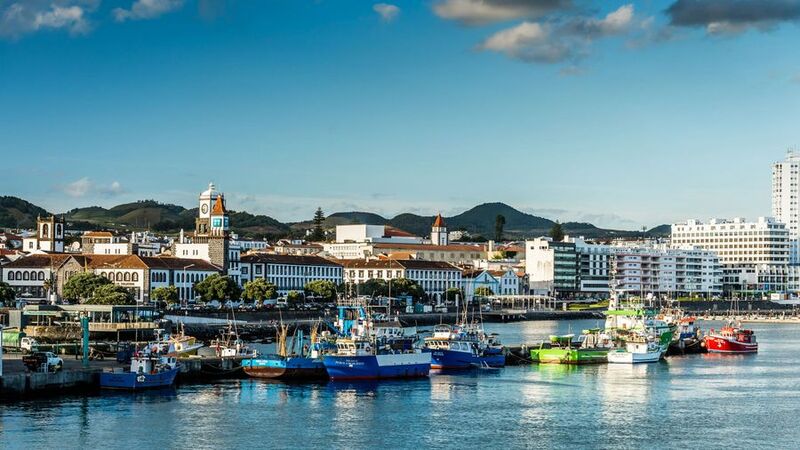 Well rested after two flights the previous day – from London to Lisbon, and then on to Ponta Delgada – it’s time to see what the island has to offer. 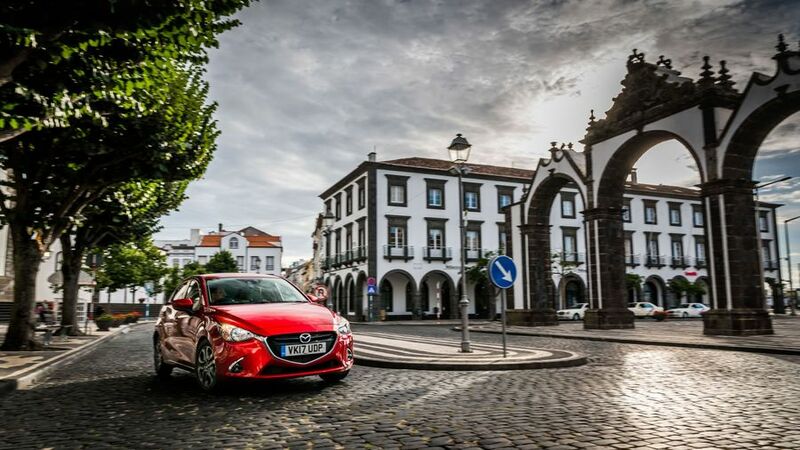 We hop into the Mazda and meander through the streets of Ponta Delgada, past the harbour and the 16th century fort that now houses a museum. The airport, nudged onto the island by the sea, passes on our left and then we’re heading out of town, and the buildings fade. Within moments, we’re in the countryside, and landscape that could, at a short glance, be Sussex on a sunny day. Deep green vegetation meets deep blue sky, and a closer look reveals plants not normally seen outside of gardens in the UK. Hydrangeas, thousands of them, line the twisting roads as we head upwards, dotting the green with splashes of blue. They’ll continue to salute our progress across the whole island. Our first port of call is another hotel, one that in its day was quite the swanky venue. 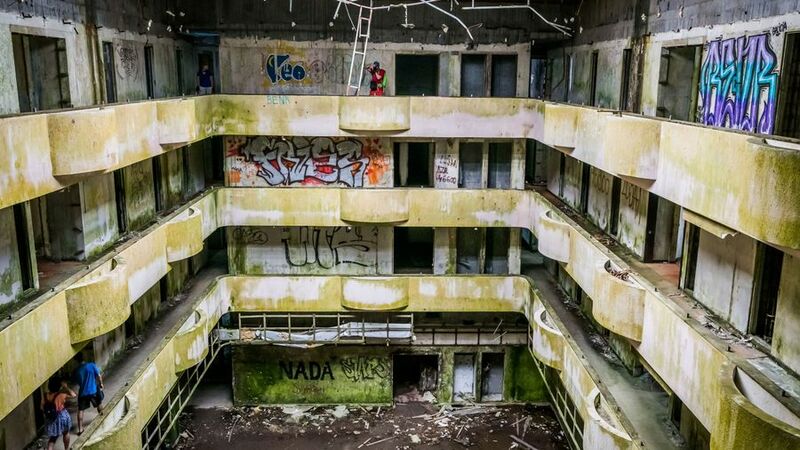 But the hilltop Monte Palace was abandoned soon after it opened in the late ‘80s, and today welcomes visitors fascinated by its fading glory. Its open access must be a health and safety nightmare, but walking around its corridors and rooms is quite the experience, and it still boasts incredible views over the volcanic caldera that dominates the west of the island. Back on the road we twist and turn to the northern coast. 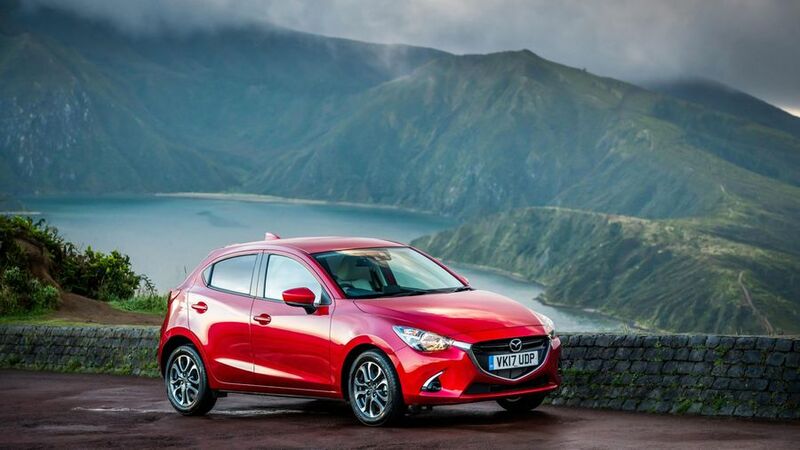 The Mazda 2 might not have much power – just 90PS in this model – but its chassis more than makes up for the lack of grunt. 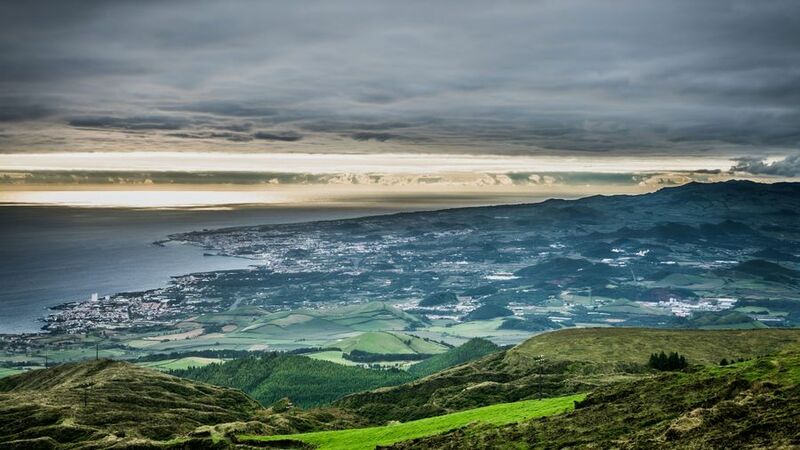 The Azores hosts a round of the World Rally Championship and, in my mind, I’m channelling my inner racing driver as I surefootedly pilot the Mazda southeast, towards the town of Ribeira. 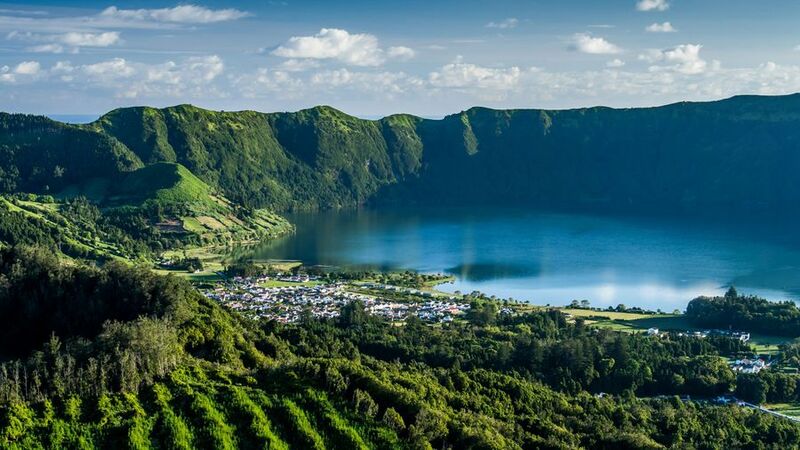 From there, we head back inland, pausing to take in more spectacular views over the Lagoa do Fogo, which sits tranquil in the second caldera of the day. After a quick lunch stop, we stop at a town with a stench in the air. 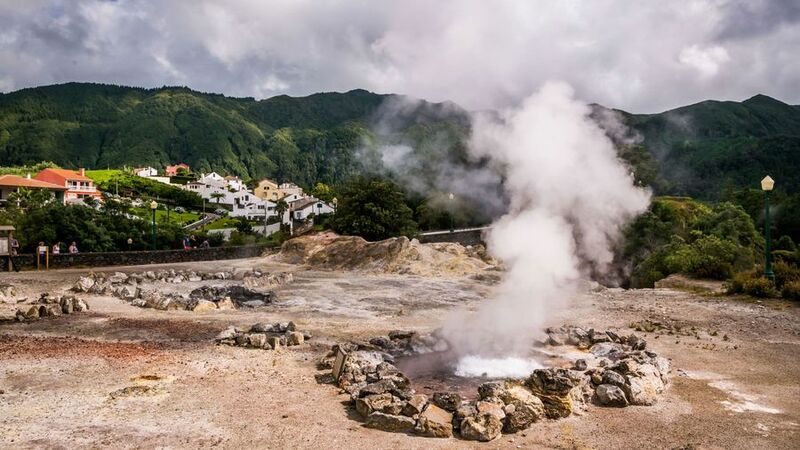 Furnas is home to 30 volcanic hot springs, caused by the volcanic atmosphere underneath. The sulphuric smell reeks of rotten eggs, so after appreciating the natural wonder, we jump back in the Mazda and crank up the air-con. There follows maybe the best stretch of driving as the road winds, rises and falls through the scenery on the south of the island and then hugs the coast at its eastern edge. Through Nordeste, we pause for yet more spectacular views at one of dozens of dedicated lookout points dotted across the island, which showcase the abundance of natural beauty Sao Miguel has to offer. We then realise we’ve paused far too often, and that the day is running out. Back to the Mazda for a brisk scoot back to Ponta Delgada, as fast as its little engine will take us. As shadows lengthen and the sky turns to caramel, I reflect. 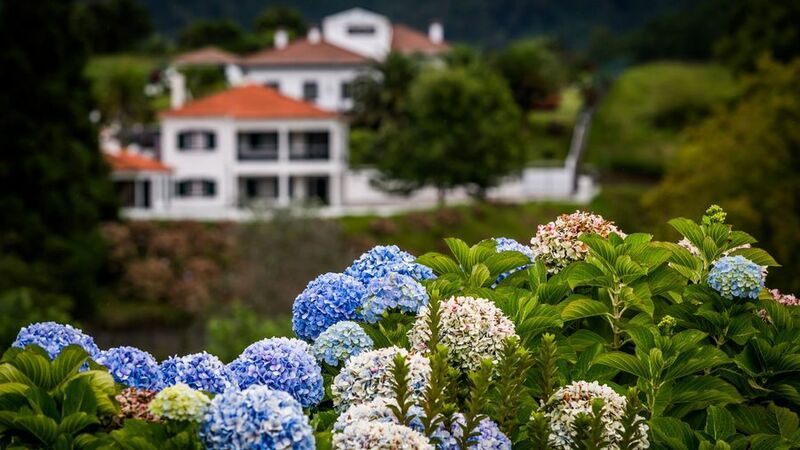 The Azores are a very long way to travel for a single day of sightseeing; there’s a lot to take in such a small place, but this whistle stop tour has been fascinating, enlightening and rather good fun. If you land a Mazda 2 at the hire car place, consider yourself in luck.